I'm dying for a whiskey ball. I can drink beer without the aid of a net. And to wash my face would be risky. Undershirt fair, no socks I wear. I'm the pet of the ladies, a bum. "With my pants full of patches, and dog teeth as well. I'm the darling young bruiser 'tis said. 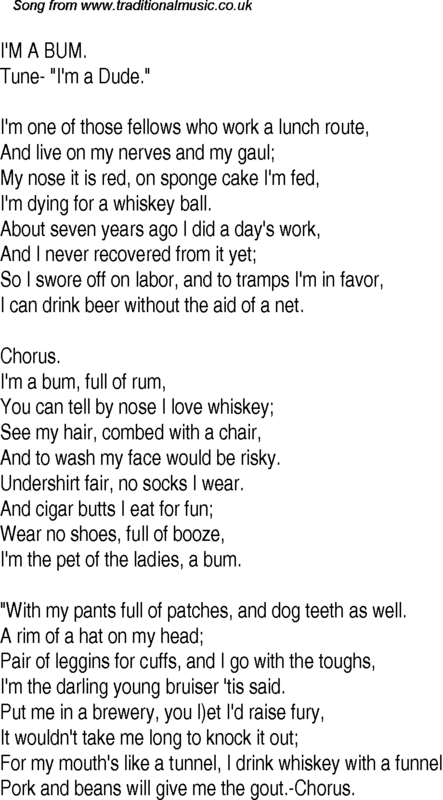 Pork and beans will give me the gout.-Chorus.